July brought many exciting developments. I was promoted to full Professor and became chair of my department at the University of Chicago. The Japanese translation of Sayonara Amerika, Sayonara Nippon came out from Byakuya Shobo. At around the same time, the discovery I helped make of some previously unknown 1950 Sacramento concert recordings by Misora Hibari, Kasagi Shizuko, Yamaguchi Yoshiko and many other Japanese singing stars became big news in Japan. I was apparently a featured item on television “wide shows” for a couple of days; I’m told that at least one of the shows introduced me with a photograph that was not actually of me. The Japanese edition of the book was well received, too; dozens of newspapers and magazines ran favorable reviews. The whole family flew to Tokyo in late July. I spent a couple of days doing press interviews at my publishers’ offices in Takadanobaba. 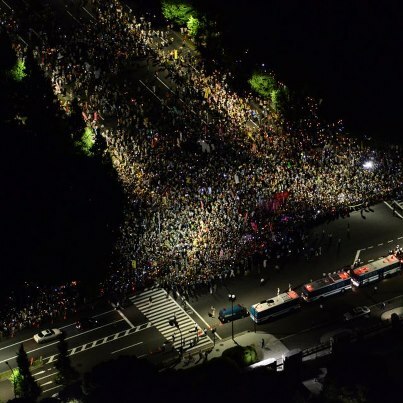 On July 29, Satoko and I were able to participate in one of the largest anti-nuclear demonstrations of the year, a march that started from Hibiya Park and ended up surrounding the Diet building. We celebrated the children’s birthdays up in Sendai with Satoko’s parents. With the help of a reporter from the Kyodo Tsushin wire service, I was able to get a copy of the 1950 wire recording of her Sacramento concert to 92-year-old Yamaguchi Yoshiko, who gave an interview about how delighted she was to hear it. As a result, once again I showed up in newspapers across Japan. We returned to Chicago in early August. I recorded a segment for public radio’s “To the Best of Our Knowledge,” which was broadcast nationally later in the month (you can listen online here). We brought the whole family to a terrific play,”The Death of Harry Houdini,” at the House Theater. We ran up to Minnesota again to celebrate what would have been my father’s 75th birthday on August 15, and while there I saw another ballgame at Target Field. I also got to see one of my old favorite local bands, the Flamin’ Oh’s, play a show at Mears Park in downtown St. Paul. Back in Chicago at the end of the month, we attended the opening night “Tribute to Ella” with Dee Alexander, Frieda Lee, and Spider Saloff at the Chicago Jazz Festival. I returned again on the last day of the festival to catch stellar sets by the Steve Coleman Group and Pierre Dørge And The New Jungle Orchestra–two more favorite musical discoveries of the year. In September things started gearing up in my new role as department chair, but on a stormy night we saw Bruce Springsteen give a fine concert up at Wrigley Field, and when the Twins swung through town early in the month I ran over to New Comiskey Park to take in a game. Late in the month I filled my car with grad students and drove to Kalamazoo for the Midwest Conference on Asian Affairs meeting at Western Michigan University. Classes started in October. I taught two seminars this past fall–one on Japanese literary discourses of “furusato” (hometown), the other on Japanese cultures of the Cold War. As usual, I learned a great deal from the students in both. Extracurricular activities slowed down as I resumed full-time teaching, of course, but I still managed to get out now and then. In early October, I saw a nice set by guitarist Wayne Krantz at Martyr’s and later in the month caught an intriguing performance by shamisen composer Kimura Shunsuke. In October, I attended the Association for Japanese Literary Studies meeting at Ohio State, reconnecting with many old friends and meeting some new ones. I also enjoyed the opportunity to make a presentation about the 1950 wire recordings at the annual Humanities Day celebration here on campus in Hyde Park. We had a quiet Thanksgiving at home, with me preparing the turkey as usual. In December, we enjoyed a show by Leo Kottke up at SPACE in Evanston, as well as a terrific performance of Barber’s Violin Concerto and Shostakovich’s Tenth Symphony by the CSO. I made another trip to Los Angeles to give a talk at UCLA and to film an interview about the 1950 wire recording of Misora Hibari for a television special which was broadcast in Japan on the BS-TBS network on December 7. We spent Christmas with family in Minnesota, quiet and relaxing. On Boxing Day, we went ice skating with a big group of my cousins and their children. Later today we’ll bring our 2012 cultural calendar to a close by attending the acclaimed production of “Annie” at the Paramount Theater in Illinois: the last few years, our family has made a tradition of attending a musical in the week between Christmas and New Years. We also have tickets to see the opening night of Buddy Guy’s annual stand at his own blues club downtown later this week, and we’re off to Second City a few days after that for some comedy. It really has been a blessed year for us: writing this up has helped remind me how lucky I am. I’m surrounded by a supportive family, wonderful friends and colleagues, students who keep me on my toes, and a city that bustles with creativity and energy. As usual, I have compiled a long list of New Years’ resolutions, but I won’t bore you with those. Suffice it to say that I am looking forward to 2013. Let me end by wishing you joy, peace, and health in 2013. Thanks for stopping by. I have several projects with looming year-end deadlines. I really should be working on those this morning. Which, of course, makes this an excellent time to devote instead to an update here. 2012 is fast winding down. What kind of year was it? A fine and memorable one, thank you. Not without its bumps and bruises, of course, but those just help remind me that I’m alive. I end the year feeling gratitude and hope. The first half of 2012 found me on sabbatical. In early January, I flew to Seattle for the MLA convention. I saw old friends, sat in on some good panels, caught the film “The Descendants” in a cinema across from the hotel–and accepted the Scaglione Prize for the translation I co-edited of Natsume Soseki’s Theory of Literature and Other Critical Writings. Later that month, I flew up to Ann Arbor to participate in a faculty workshop, and a week later I presented a talk at another faculty seminar at Northwestern University. The month ended with Satoko and I enjoying a performance by Westside blues legend Eddy “The Chief” Clearwater at SPACE, the little-club-that-could up in Evanston. In February, we caught Ricardo Muti conducting the CSO in Franck’s Symphony in D minor and then, a few days later, I attended the University of Chicago Folk Festival, featuring Billy Boy Arnold. The most exciting event of the month: my book, Sayonara Amerika, Sayonara Nippon: A Geopolitical Prehistory of J-Pop, came out from Columbia University Press. I heard many nice things about it from people–to the point that I started to worry that it must not be very good. If something you write doesn’t piss anyone off, how interesting can it be? But later I heard through the grapevine that a number of senior scholars in my field hated it. I felt reassured. In late February DePaul University hosted a fun workshop based on the book for Chicago public school teachers. On the first day of March we watched Pierre Boulez lead the CSO in a wonderful performance of Mahler’s Das Lied von der Erde. The next morning I was off to NYC for meetings. Then on March 10-11 I co-hosted a conference in honor of my colleague, Norma Field, who retired at the end of the 2011-12 academic year. “What March 11 Means to Me” brought together an amazing group of public intellectuals from Japan for personal and philosophical reflections on the first anniversary of the Tohoku earthquake, tsunami, and nuclear disaster: Amamiya Karin, Komori Yoichi, Ryusawa Takeshi, Takahashi Tetsuya, and Yokoyu Sonoko. The following week, I traveled to Toronto for the AAS annual meeting, where I chaired a roundtable discussion on the 1950 wire recordings of Japanese performers in concert in Sacramento (more on those anon). In April, I was back in NYC for a lecture at Columbia University. While there, I saw the acclaimed revival of “Death of a Salesman” with Philip Seymour Hoffman and caught up with a few old friends. Back in Chicago, we attended a lively concert by Rodrigo y Gabriela and a fine performance by the Alvin Ailey dance company a few days later. Later in the month, I drove up to the Twin Cities to visit family and friends, catching a Twins game while there and a Beloit Snappers minor-league game on the drive home. During the month, I also finished up an article on Natsume Soseki’s conception of world literature, which appeared in the May/June issue of the Iwanami Shoten journal Bungaku. On May Day I joined the protest march that started out from Union Park and made its way past the site of the Haymarket Massacre (the historical origin of May Day) before ending at a rally downtown. A few days later, we caught a live performance by one of my favorite musical discoveries of the year: Kids These Days. The group manages to combine rock, funk, jazz, and hip hop and make it all work; their debut album Traphouse Rock came out later in the year and was one of my favorite records of 2012. Later in May I attended the Atomic Age II conference at Chicago. It featured a keynote address from Koide Hiroaki, one of the most important critics of Japan’s “nuclear village.” The next day, we joined a group to visit the nature preserve in the western suburbs where the remains of Chicago Piles 1 and 2 (the world’s first nuclear reactors) are buried. Later in the month we caught a surprise cameo appearance by Ray Davies at a public television benefit concert, and then I was off to Tokyo for a quick one-week visit. During that trip, I attended the May sumo tournament, met a number of scholars, visited libraries and bookstores, and stopped by an exhibit of photographs by Mike Nogami. After coming back to Chicago, I survived the NATO conference shut-down of the city, dragged the kids to the reunited Beach Boys concert at the Chicago Theater, and enjoyed a Millenium Park performance by Kelly Hogan (another key musical discovery of the year). We ended the month by catching Court Theater’s production of “Angels in America” with Larry Yando’s memorable turn as Ray Cohn. As June began, I flew to Los Angeles to join in the celebration of the twentieth anniversary of the UCLA Terasaki Center for Japanese Studies. It was lovely to catch up with old friends from UCLA, and while there I got to meet and chat briefly with one of my childhood heroes, Daniel Inouye (RIP, Senator Inouye). It turned out that he was one of the 442nd veterans involved in inviting Misora Hibari to Hawaii in 1950 for a charity concert–which led in turn to the 1950 Sacramento concert recordings. Another quick trip to Minnesota followed, and I was back home to catch the last day of the Chicago Blues Festival, including an uplifting headliner set by Mavis Staples. During June we also caught the CSO a couple times, including an eye-opening public rehearsal led by Ricardo Muti, and we visited the Roy Lichtenstein exhibit at the Art Institute. But the cultural highlight of the month was the acclaimed production of “The Iceman Cometh” at the Goodman Theater, with an ensemble cast so strong that the supposed stars, Brian Dennehy and Nathan Lane, mostly just blended into the scenery. July is when things really got busy. I’ll write about the second half of the year tomorrow. In the meantime, I really should get hopping on those year-end projects…. 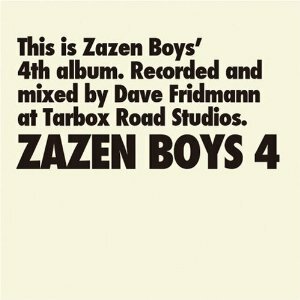 – Rediscovery of Zazen Boys. After enjoying their first two CDs very much and watching them play a live set in Sendai back in 2006, I’d drifted away from this post-punk/funk combo. But an entry of Patrick St. Michel’s excellent blog alerted me to “Potato Salad,” a wonderful new track from a forthcoming release, and while in Japan I picked up a copy of Zazen Boys 4, their 2008 CD. Terrific stuff, and back on heavy rotation in my life. – Enjoying my fifteen minutes of fame. I did about a dozen media interviews in Japan and here about my book and the discovery of wire recordings of 1950 concerts in Sacramento by a number of prominent Japanese musicians, including Misora Hibari and Yamaguchi Yoshiko. This resulted in a large number of stories and reviews in newspapers and magazines, as well as a fair amount of television coverage. The Japanese translation of Sayonara Amerika, Sayonara Nippon seems to be selling well, and the press comments so far have been quite positive. Here in the States, I’ll be on the August 26 edition of the public radio program, “To The Best of Our Knowledge.” It will be available as a podcast after the broadcast. – Participating in the July 29 “Encircle the National Diet Building” Anti-Nuclear Protest in Tokyo. It was a disorienting but exhilarating event: tens of thousands of marchers trying to follow bizarre police directions that made me feel increasingly like a laboratory rat trapped in a maze. We were repeatedly directed to walk away from the Diet Building, but eventually we did find the cheese: a swirling carnival that occupied a blocked-off street in front of the main entrance to the building. In the meanwhile, the weekly Friday afternoon protests in front of the Prime Minister’s residence continue. – Dashing off an Angry E-Mail to NBC. How could they possible cut Ray Davies’ performance of “Waterloo Sunset” from the American broadcast of the London Olympics closing ceremony? It was the emotional centerpiece of the whole show. Sigh. I wasn’t the only one who was mad about it, either. It’s going to be a busy weekend. Friday, I’m planning to head downtown to catch Kids These Days, a terrific group that combines hip hop, jazz and R&B, in their set at Columbia College’s “Manifest” festival: 5:40-6:30 p.m. “Under the Big Tent” at 1001 S. Wabash Ave. There will be free music performances all day as part of the event. Then on Saturday it’s the big “Atomic Age II” conference at the University of Chicago, with guest speakers including Kyoto University nuclear physicist Koide Hiroaki (one of the few specialists in the field willing to speak critically about Japan’s nuclear power industry and the government’s role in promoting it), Muto Ruiko (a prominent anti-nuclear activist from Fukushima), and Robert Rossner, professor of Astronomy, Astrophysics and Physics at the University of Chicago and former Director of the Argonne National Laboratory. Last year’s conference was enormously informative and energizing, and I am hoping for more of the same on Saturday. Sunday, we’ll be visiting Site A/Plot M Disposal Site, the final resting place of Chicago Pile-1, Enrico Fermi’s first nuclear reactor. It was originally located under the grandstands of Stagg Field (currently the site of Regenstein Library) here at the University of Chicago. In the midst of this flurry of activity, the May sumo tournament gets underway Sunday at Kokugikan in Tokyo. Yokozuna Hakuho is the favorite going in, but sumo has been pretty unpredictable as of late. I have a ticket to attend day 10, and I can’t wait. It just might take my mind off the seemingly unending miseries of the 2012 Minnesota Twins. After a dreadful 2011, Twins fans came into 2012 buoyed by one slender hope: that this season couldn’t possibly be as bad as last. 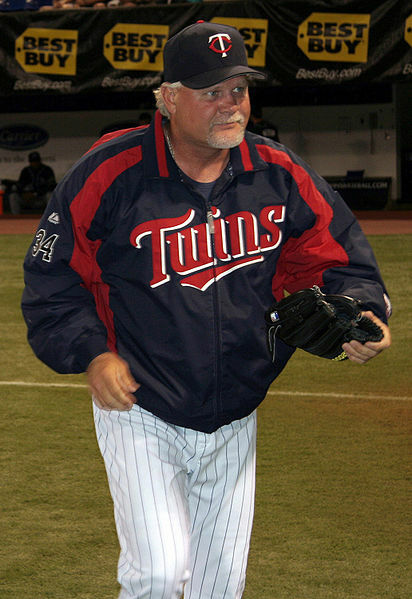 It’s been nine years now since we Minnesota Twins’ fans pledged devotion to our manager, Ron Gardenhire: nine years of happiness and bliss, including five divisional championships, with one more in the oven. He certainly brings home the bacon, and on top of that he’s good with the children–not too strict, not too lenient. In other words, we shouldn’t complain. We love him dearly. And yet, and yet…. He has these annoying little habits that drive us crazy. There’s the thing about batting Delmon Young seventh, for example. Even though Delmon is currently the second best hitter on the team (with Justin Morneau sidelined indefinitely), Gardy won’t move him up in the line up. God only knows why. It just drives us crazy. Then there’s the thing about not reshuffling the batting order when he rests a regular player. Orlando Hudson, our second baseman, bats second. When Hudson sits for a game and Gardy puts in one of our hitless-wonder bench players, any sane man would rearrange the order and move someone other than the second basemen into that crucial number two slot. Not Gardy, though…. Don’t get us started about the way Gardy uses Nick Punto: we love Gardy dearly, but his friends sometimes drive us nuts. I’ve been to two Twins’ games the past month. I was at Target Field in Minneapolis on Sunday, August 15, and saw Kevin Slowey throw a no-hitter through seven innings. Whereupon Gardy benches him. Now, I know this was the rational thing to do: Slowey has had arm trouble this year and had already thrown over 100 pitches: there was no way he was going to complete the game and the no-hitter. But I admit it: I booed Gardy when he pulled Slower, and I booed some more when Jon Rauch came in as a reliever and promptly gave up two hits. And then when they showed video of Gardy making a public service announcement on the scoreboard after the eighth inning, I booed some more. I know my reaction wasn’t very rational or even very smart. But all the little things add up. The pressure builds and builds and suddenly one day you find yourself booing your own manager in the middle of a game the Twins are winning. I was at U.S. Cellular Field this past Wednesday night to watch our boys clobber the White Sox, 9-3. 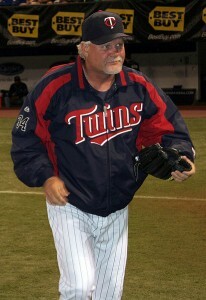 It was the middle game of a three-game series that the Twins swept, basically sealing their sixth divisional championship under Gardy. It was a lovely game, with a Joe Mauer home run and Brian Duensing once again pitching well. I was happy. But there were the little things Gardy did that got under my skin. Like, why didn’t he put in a pinch runner when Jim Thome singled in the top of the sixth? Two batters later, Danny Valencia doubled and a younger man would have scurried home, but Big Jim trotted into third and stayed put. And why didn’t Gardy put in a defensive replacement for Delmon Young in the late innings, when the game was already in hand? Young booted a fly ball by Alexei Ramirez in the bottom of the seventh that the official scorekeeper charitably called a triple. If Ben Revere had been out there instead of Young, it might have been an out, and it certainly would not have been anything more than a single. 2010 very much looks to be the Twins’ year, and I expect great things in the playoffs. Which is to say, I think we might even be able to get past the Yankees this year. I’ll be so happy for Gardy when that happens. He’s done an extraordinary job this year, guiding the team to a lopsided division lead without its relief ace (Joe Nathan) all year, and without its top power hitter (Morneau) for the second half. I love the man dearly. But all those annoying little habits of his! Sometimes, it just drives you crazy.